Note that the voucher is for 1 person for a beach ride and night in the B&B. Please contact us to add on additional people and nights for the B&B at Glebe House. 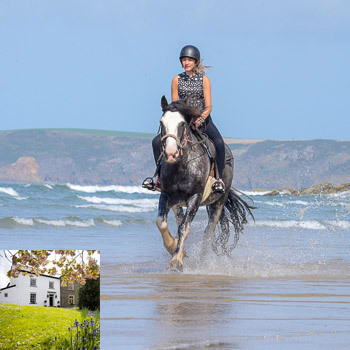 Beach Ride & B&B voucher valid for 12 months from date of purchase, and is non-refundable.